I am really into fitness right now. I love working out. It makes me feel good and energized. So,as I was losing weight, I wanted to try sportsbras. Since I am working out at home, I am very comfortable. I don't have to worry about people looking at me, I have my own space, I can watch my favorite shows while I am in our treadmill and stationary bike. I am also doing HIIT, Plyo and light weights so I am always sweaty, sportsbra is really good for that sweaty session. 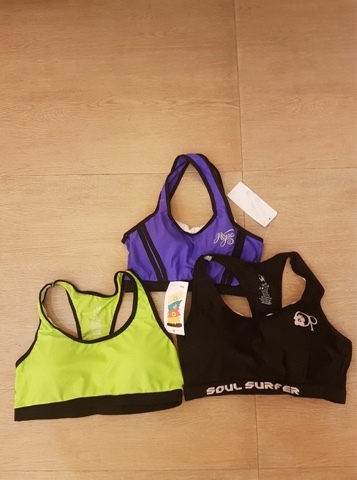 I found cute sportsbras for only P250 at KRISTINE'S COLLECTION. It is located just in front of Gaisano Mall. I also saw other branch near the City Hall/Magallanes. They also have lots of cute swimsuits there! Prices range for only P350-P400. 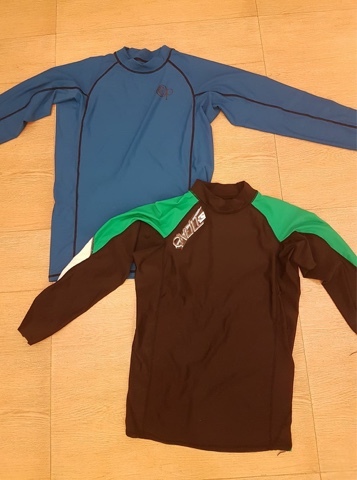 My husband also bought Rashguards because the heat is terrible lately and we always say, 'sakit sa panit ang init', so he decided to buy rashguards to use for our beach trips. I did not buy new swimsuits because I have so many that I did not have a chance to use because I am so self conscious with my body. Hopefully on our next beach trip, I am more confident and I am able to use some of it. What I did not like about KRISTINE'S COLLECTION is that they did not gave me a discount even if I bought 5 pieces. I mean, I was also a clothing store owner, and I understand that giving a discount for a customer can help them come back for more. So I was a little bit disappointed. I hope you like my Budget Finds!!! 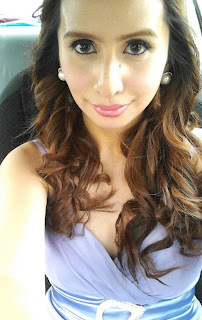 My journey from being a mom, wife, daughter, businesswoman and friend. Creative Type. Fashion, Make-Up, Fitness and Finance. I am a Herbalife Independent Distributor and Wellness Coach. I am a Frontrow International Distributor. Email me if you want to change your life!!! I also am a Young Living Distributor. I am an essential oils addict. Come talk to me if you want to know more about it!